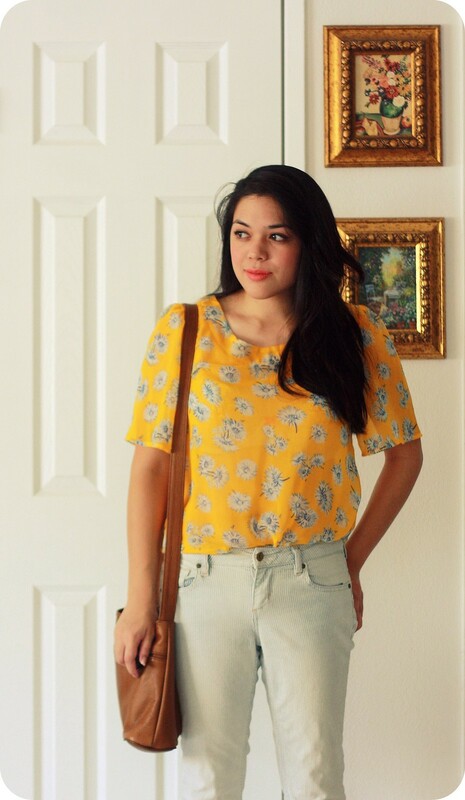 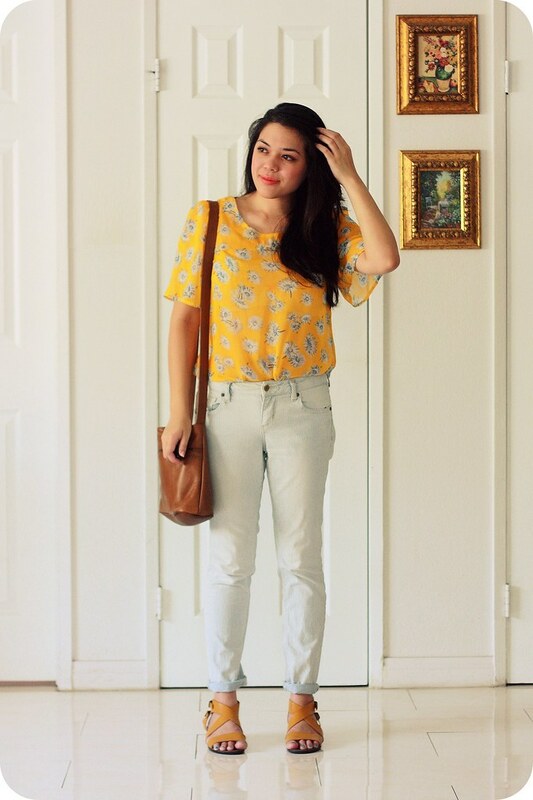 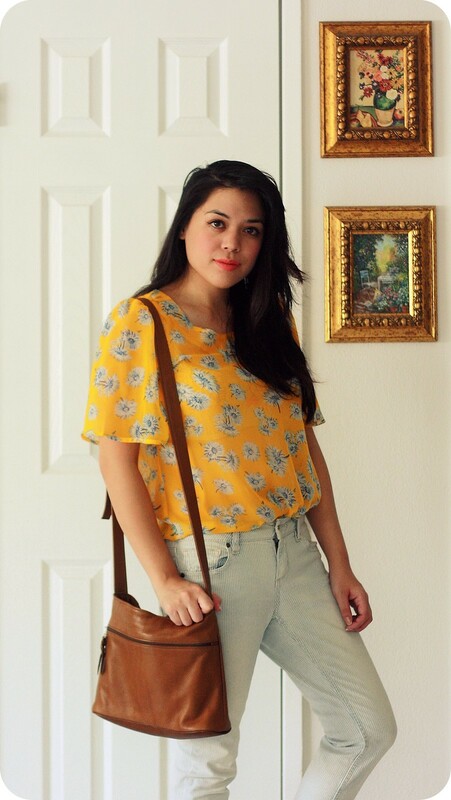 Casual jeans and a little bit of floral over the weekend. 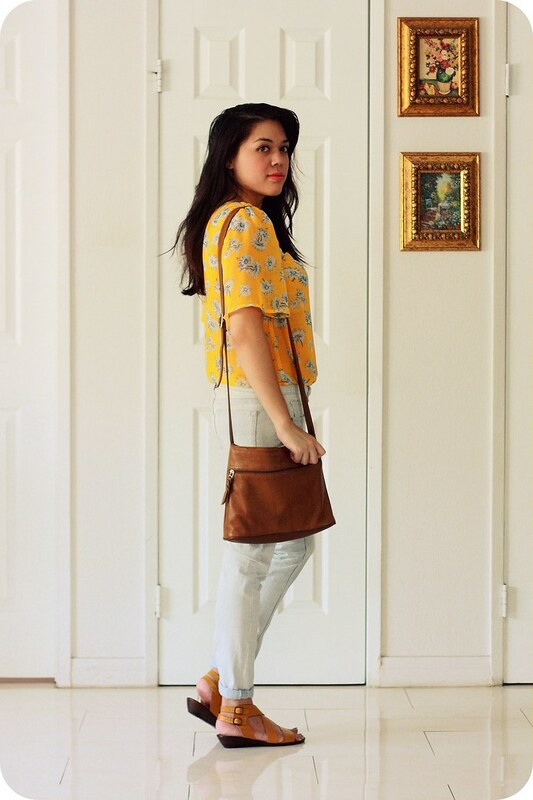 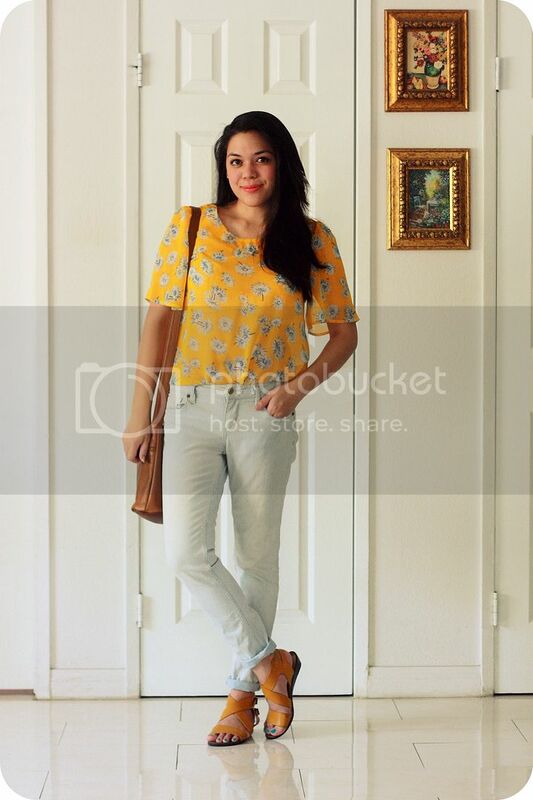 I wore a yellow floral chiffon blouse (old, from ModCloth) tucked into pale blue boyfriend jeans that I cuffed at the ankles (I love the subtle stripes and bleached out finish), a vintage leather bag, and yellow sandals by Seychelles. 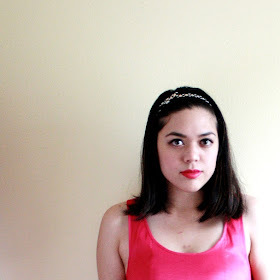 The light coral lipstick I'm wearing is "Fancy" by ColourPop--one of my favorite shades for the summer.